Are foreign herders the black sheep of immigration reform? Sheep take cover from a thunderstorm. Debate over the immigration overhaul has found its way to the vast open spaces of Wyoming. 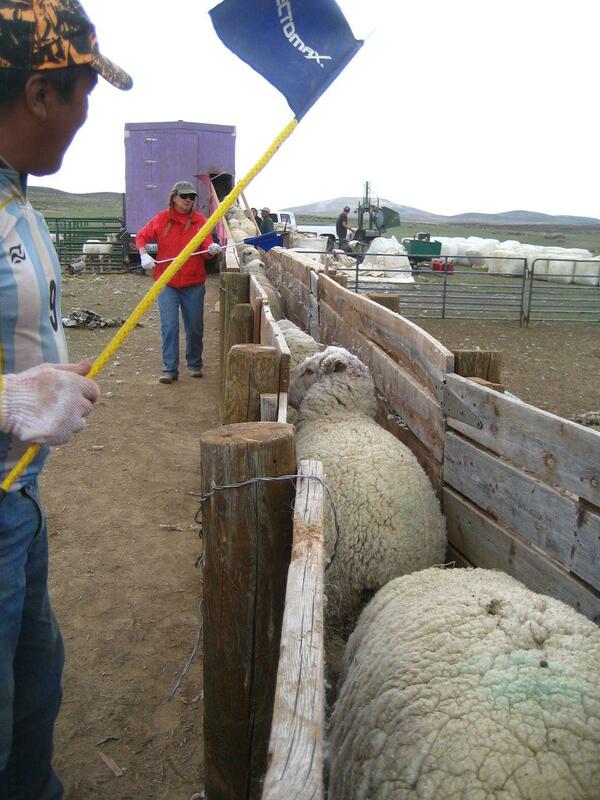 Here, Peruvian guest workers on H2-A visas tend thousands of sheep. These shepherds make just $750 a month to be on the job around-the-clock, usually alone for months on end. That's around half of what other agricultural guestworkers make because sheep ranchers receive a special exemption from minimum wage requirements. Ranchers say it’s needed in order to save this small, struggling American industry. But worker rights advocates say it’s exploitation. Wyoming Public Radio’s Sara Hossaini reports. HOSSAINI: At the O’Toole’s sheep ranch on the sage-brush dotted hills of southcentral Wyoming, spring means the few weeks every year when everyone is together in one place. HOSSAINI: Dark lightning clouds loom overhead, adding to the rush to finish shearing before the baby lambs are due next week. Then, the herders will each set out on a migration across a variety of landscapes. With just their dogs, a horse, a camper and the sheep under their charge. ANTONIO BASUALDO SOLORZANO: Here, you’re alone for 3 years. You have to do what’s necessary, for your kids. HOSSAINI: Antonio Vasualdo Solarzano has worked here for eight years. On his wages as a guestworker, he has supported seven children. Nevertheless, the years away do take a toll on the family. HOSSAINI: Rancher Sharon O’Toole and her husband Pat seem to have a good rapport with their herders. 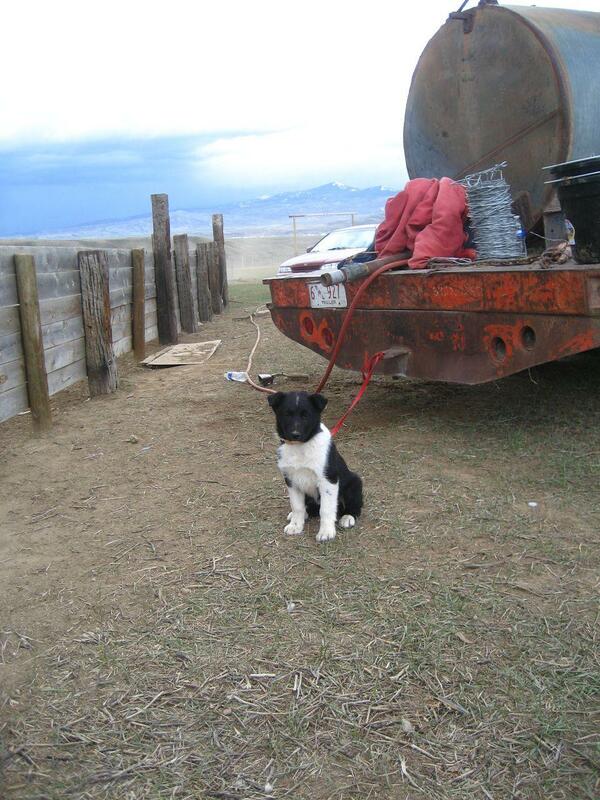 But not all herders feel so at ease with their employers. Wyoming Legal Services lawyer Valerie Schoneberger has represented several of them. VALERIE SCHONEBERGER: They are very isolated geographically, there’s the language barrier. All of those things make them probably most vulnerable workers in the state. HOSSAINI: Freddie Palomino was one such worker. Though his employer brought him on an H2-A sheepherding visa, he was employed primarily as a ranch mechanic, 10-11 hours a day, 6 days a week. FREDDIE PALOMINO: It’s funny, when I came here and I saw my boss’s house, he had a nice house. And I was kinda excited. I was gonna unload my suitcase, he said ‘wait, wait, no don’t do that’…And when he took me behind the house; for the workers, they had sheep camps there. I barely could even fit there, not even to walk. Nothing was working, the fridge, nothing like that was working. HOSSAINI: Palomino's uncle and stepdad also had bad experiences. PALOMINO: They didn’t have enough food sometimes for a week. And they called me saying hey, can you call to our boss, we don’t’ have food. And then I call his boss. It was like more than 4 or 5 times. HOSSAINI: Through Legal Services, they eventually got involved with the Department of Labor, who brought food a few times and forced his uncle’s employer to pay back wages. Former Wyoming Department of Workforce Services Specialist Heather Ondo says law enforcement once called her to remove two herders from an abusive rancher, and she says she believes mistreatment of foreign guestworkers is widespread. But Ondo says it’s difficult to verify anything through the Workforce Department’s on-the-ground supervision of the H2-A program, which consists of inspections once every three years, because she rarely sees herders. HEATHER ONDO: We’re there for a very short period of time. Everything seems to be of code and kosher so to speak, so…then we go about our merry ways. HOSSAINI: Ondo notes that American workers don’t want these jobs. ONDO: There’s not a lot of inquiry from the local community for them. Most people don’t want to go to work 7 days a week, for 24 hours a day for 750 dollars a month. I had one inquiry and the gentleman was utterly appalled (laughs) and that was it. 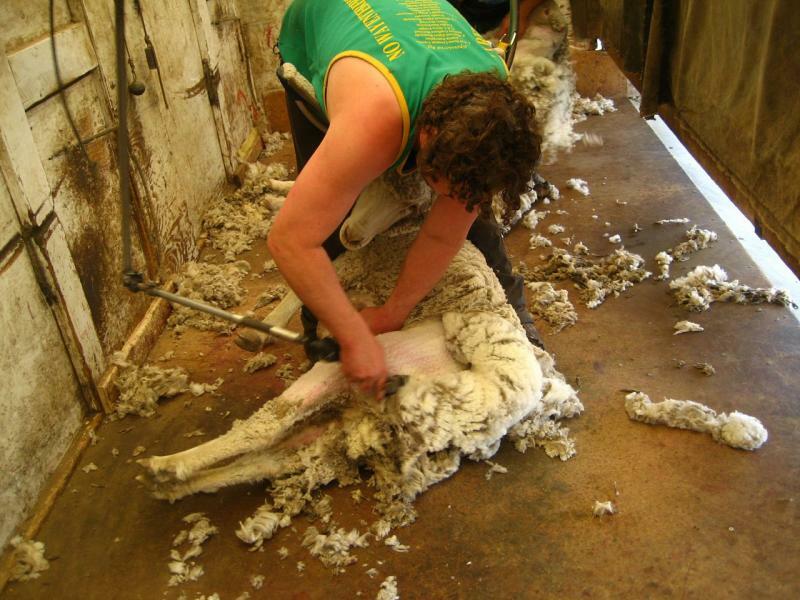 HOSSAINI: Sheep Industry Association Director Peter Orwick says industry exemptions from minimum wage, housing and other requirements, known as special procedures, are keeping the 1.6 billion dollar sheep business afloat. PETER ORWICK: Lamb is one of the very few meats that are free traded in America. A lot of agriculture either has price supports or protections from imports. The US sheep industry is successful without either of those. 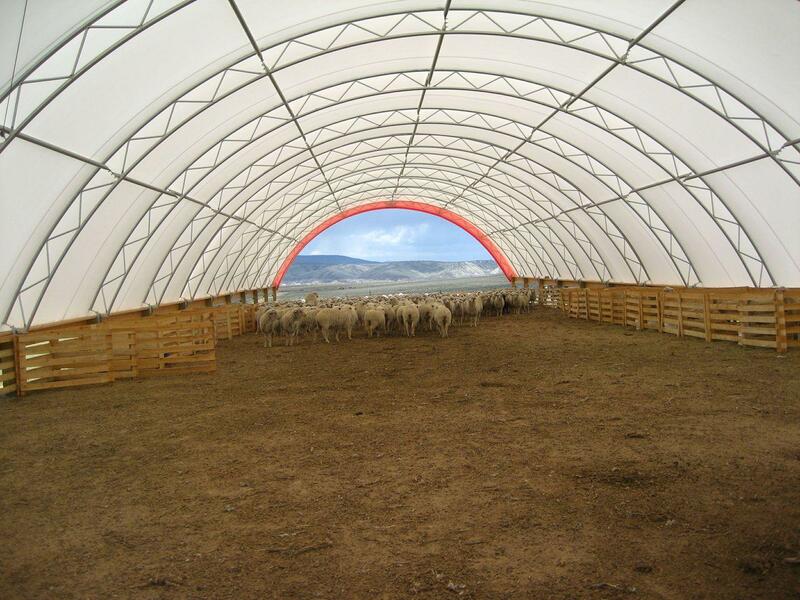 HOSSAINI: In fact, Orwick says, other agricultural enterprises want to use the sheep industry as a model. ORWICK: The sheep industry is essentially the only portion of the agriculture that has almost entirely legal and documented workforce. HOSSAINI: With rising feed costs, program bureaucracy, and import competition, many ranchers say they would have to quit sheep altogether if they had to pay more for labor. Advocates say they are crying wolf, citing that most agree that hasn’t happened in California, where herder wages increased to over $1400 per month and sheep production remains strong. With a new immigration proposal making its rounds in the US Senate, Adrienne DerVartanian of Farmworker Justice says sheepherders may soon be able to earn long-term residency, change employers, and sue under federal court, but so far, special procedures remain. ADRIENNE DEVARTANIAN: This was compromised legislation. So there are, you know, concessions on the part of farmworkers, there were concessions on the part of employers. And we certainly have a lot of concerns about the sheepherding program, but it’s not clear that that’s going to change. 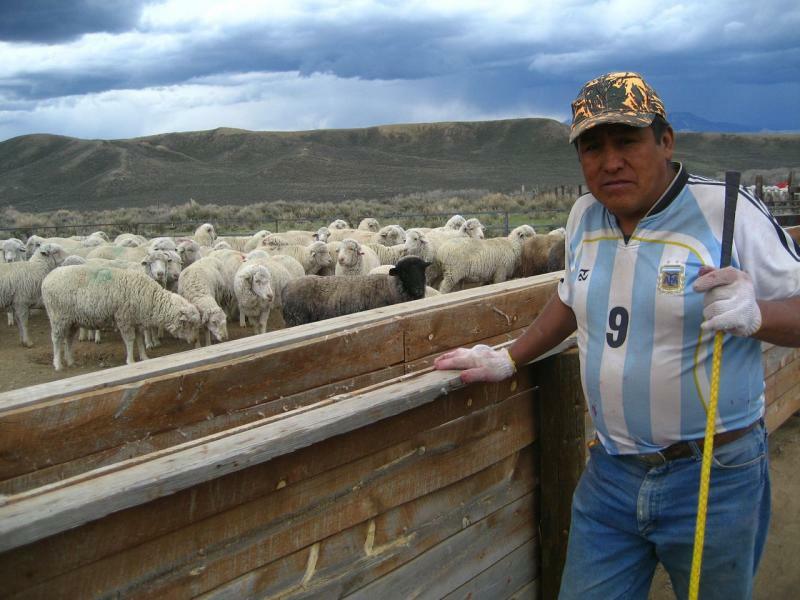 HOSSAINI: As the dollar continues to fall against the Peruvian sol, shepherd Solorzano says he hopes that sheepherder wages will be part of the national conversation. SOLORZANO: It’s important because there are times a herder thinks he is so forgotten. HOSSAINI: Meanwhile, industry is hoping that any new visa program will codify things as they are. For Wyoming Public Radio, I’m Sara Hossaini.